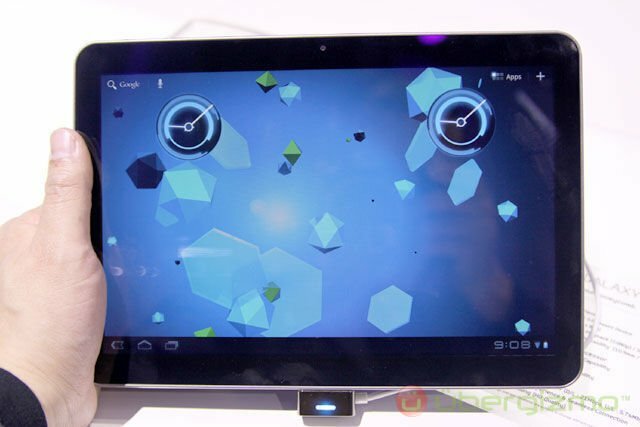 SAMSUNG Galaxy tab 10.1 is coming... - Hello! Welcome to my blog! You don't have to wait that long my friends. For those who are fans of this tablet will be pleased to find out that the wait will only be a month away. Samsung Mobile US has just announced in a tweet saying that the said Galaxy Tab 10.1 will be arriving this coming June 8. Claiming that it is a "MUST" have tablet got me excited, what could this tablet have that others don't? This website lets you register your interest for the coming tablet. the Samsung Galaxy Tab 10.1 was reported few months back and said that it will arrive in June but no date was confirmed until yesterday. Samsung didn't say but I'm guessing the WiFi is supported. All i know is that this is a big upgrade from the previous Galaxy Tab. So kudos to Samsung! I hope this goes well with the market. This is your gadget addict Mix signing out!